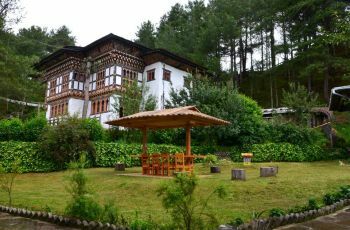 Amankora, Bumthang is located in the vicinity of Bhutan’s most sacred monasteries and temples in the Chokhor Valley providing the guests with an opportunity to leisurely walk to explore these ancient architectures, one such temple is the Jambay Lhakhang which was built in the 7th century. The temple boasts of its beautiful wall paintings and murals and the altar are adorned with ancient statues which all have intriguing tales to tell. Choekhor valley is also highly regarded for its cottage industries which engage in producing some of the best Emmenthal cheese, Gouda cheese, pure honey and locally brewed beer known as the red panda beer in the country. 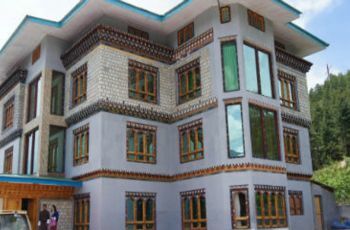 Amankora Bumthang is positioned beautifully facing the Wangdichholing Palace. The palace was built in 1857 which served as the first royal residence. The five-star property has 4 dwellings, each housing 4 suits, 2 suits on the first floor and 2 suits on the ground floor providing a total of 16 luxury suites. Each suite marked with wooden-paneling interiors, a traditional Bukhari (fireplace), king size bed, terrazzo-clad bath, shower, twin vanities and a daybed which overlooks the Wangdicholing Palace and monastery. There is also a common library filled with literature and other reference books, a comfortable lounging area in the living room furnished with a warm ambiance and an impressive dining room set up with little tables for a more cherished dining experience with the loved ones. The courtyard has a bonfire place and the spa offers the best signature massages with mineral-infused oils in the three treatment rooms and complimentary steam facilities are also offered. 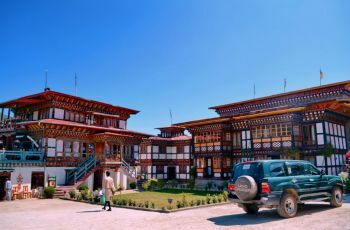 To get the best experience one can engage in some value-added activities like site seeing to the 29 temples and monasteries that Bumthang offers or trekking along the mountains or even visiting the cottage industries to taste some cheese and some fruit brandies. 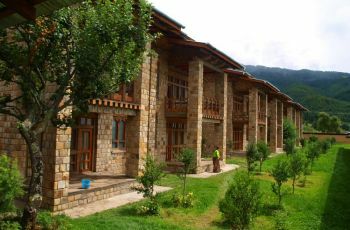 Do you own/manage Amankora Bumthang?